I've just come back from a trip where I saw extended family members that I hadn't seen in 30+ years. And, one thing I kept hearing was how young I looked, and how great my skin was. 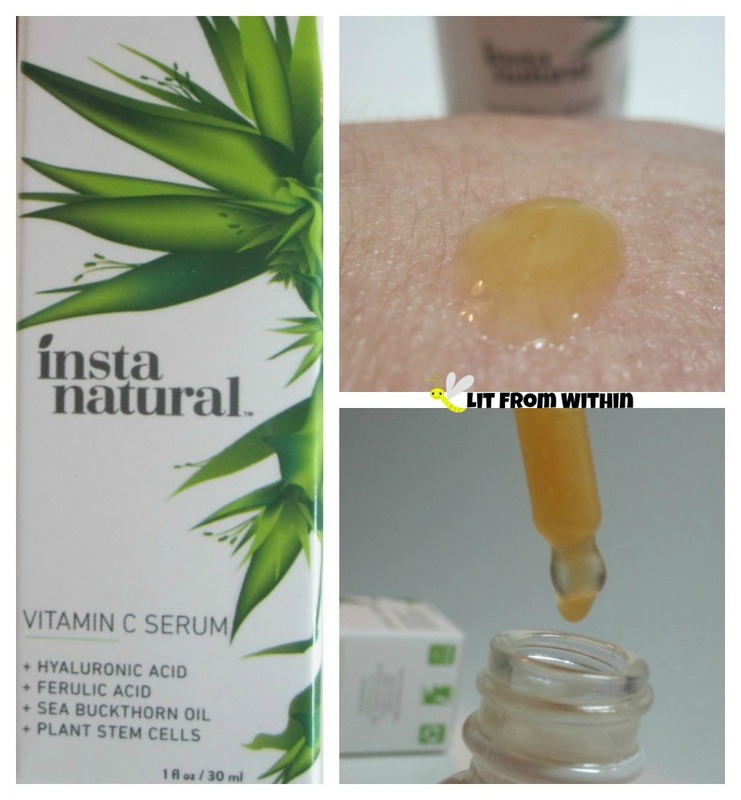 My mom always had great skin, and I know I got mine from her, but I also try to replenish the things my skin needs with serums, like this Vitamin C Serum from InstaNatural. Vitamin C helps brighten the skin, support collagen production, and fights free radicals. In addition, this serum contains lots of other great things, like Hyaluronic Acid, to retain moisture in the skin, and lots of skin-nourishing oils like Sea Buckthorn and Argan oils. One thing I really love about InstaNatural is that they started off as a small business dedicated to providing natural and effective skincare, and they have maintained that as they've grown. Their formulas are 100% free from parabens, sulfates, artificial colors and dyes, formaldehyde, and mineral oil, and they are a cruelty-free company. The serum comes in a glass bottle that has an opaque white tint, and uses a dropper to dispense it. It smells like fresh oranges, and has a vibrant orange color that comes from the Sea Buckthorn oil, though it doesn't stain or tint the skin. On my oily skin, it absorbs fast, and leaves no residue. Serums are an amazing way to get a powerful dose of nutrients in the skin without heavy or rich binders. My oily skin loves this serum, and I can layer on several different serums, depending on what my skincare regimen is at the moment. 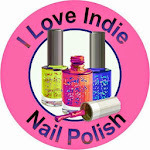 I love how it smells, how it feels, and - of course - I love all the compliments on my skin! 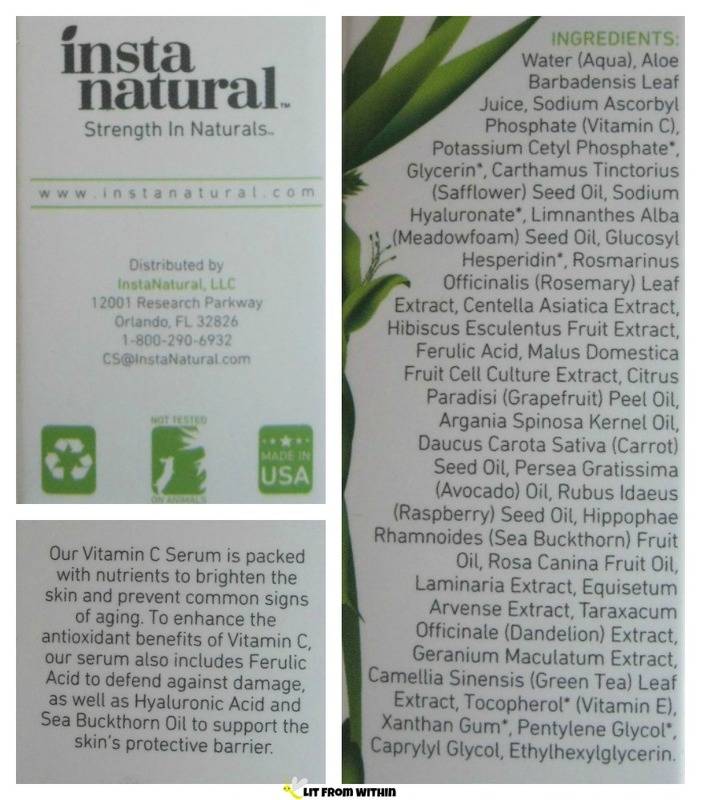 For more information, or to purchase, you can find Instanatural on their webpage, Facebook, Google+, Pinterest, Twitter, and Amazon, where the Vitamin C Serum currently retails for $17.07.